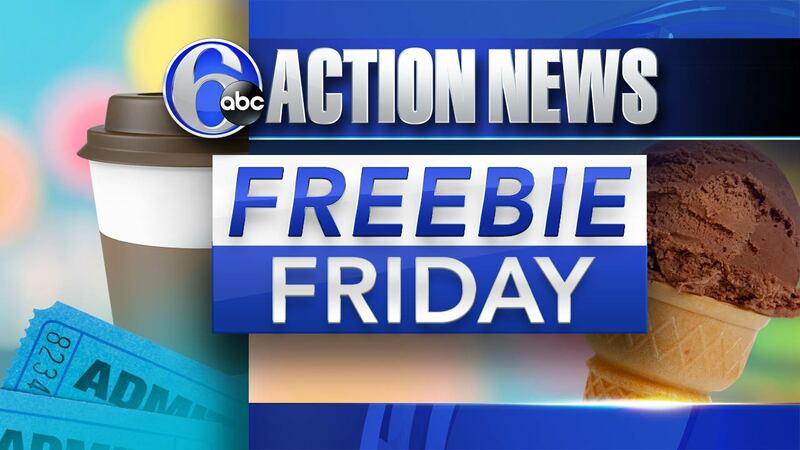 PHILADELPHIA (WPVI) -- Here are your freebies being offered this Friday! Last week we told you how Auntie Anne's would throw a huge free pretzel party if one million people sent in an RSVP for their birthday celebration. Well - it's happening! Stop by any location tomorrow, March 3, from 10am to 2pm for your FREE original or cinnamon sugar pretzel. Here's an incentive for you to get free donuts and coffee! Philadelphia Runner is teaming up with Federal Donuts to create a Sansom Street Donut Run Group. Everyone is invited on the first Saturday of the month. Meet up at 9 am at Philadelphia Runner Center City located at 1601 Sansom Street in Rittenhouse. After a 3 mile run, Federal Donuts on Sansom will give out free coffee and donuts. On March 3, Target stores will host their annual "Dr. Seuss In-Store Hats off To Reading" event to celebrate Dr. Seuss' birthday. There's storytime for kids and freebies from activity and sticker books to posters. The event runs from 10am to 1pm. Just in time for Easter, Lindt is offering 5 free personalized ribbons for their golden chocolate bunnies - perfect for those baskets! They say you should order this freebie before March 22nd so they arrive in time for Easter. If you're looking for some free family fun this weekend, it's PECO Free First Sunday Family Day at the Barnes Foundation. There's free fun for all ages and they give out 4 free tickets per person starting at 10am.